Dr. Jonathan Teich may be Chief Medical Informatics Officer at Elsevier and Assistant Professor of Medicine at Harvard, but he hasn't used his success to retreat from the front lines of medicine. Every Saturday, he works in the emergency room of Brigham and Women's Hospital in Boston, where he makes on-the-spot decisions on everything from drug dosages to the best way to treat patients with cardiac conditions and injuries from auto accidents. 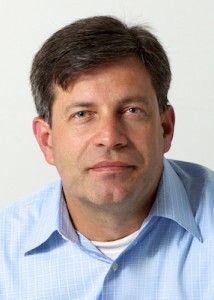 He combines this hands-on experience with 20+ years in medical informatics and health IT to help Elsevier develop products that deliver medical information at the point of care. You could even say he wrote the book on clinical decision support (CDS), the process of delivering situation-specific, actionable health information to clinicians and patients. 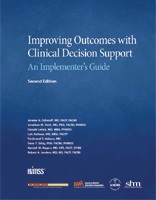 Dr. Teich was on the team of authors who penned one of the only definitive guides to CDS: Improving Outcomes with Clinical Decision Support: An Implementer's Guide, which first came out in 2005. The book provides practical information, worksheets and "how-to" instructions for health-care organizations developing a CDS program and implementing CDS interventions to improve the quality and safety of health care. Authors: Jerome A. Osheroff, MD; Jonathan Teich, MD, PhD; Donald Levick, MD; Luis Saldana, MD; Ferdinand T. Velasco, MD; Dean F. Sittig, PhD; Kendall M. Rogers, MD; and Robert A. Jenders, MD. Updated guidance on using CDS interventions to improve care delivery and outcomes in diverse settings. Detailed case studies that illustrate how a "real-life" CDS program – and specific CDS interventions – might evolve in a hypothetical community hospital and small physician practice. [divider]HIMSS is the world's largest member organization for the health-care information technology field. Its awards program recognizes outstanding contributions to its organization and the health-care industry. "The HIMSS award recipients are individuals and organizations that have contributed to HIMSS' mission of leading health-care transformation through the effective use of health information technology," said JoAnn Klinedinst, VP of Professional Development for HIMSS, in the press release. At Elsevier, Dr. Teich works with the Clinical Solutions group to develop products that use sophisticated search technology and "smart content" to deliver evidence-based, actionable information clinicians can use to make decisions at the point of care. Creating CDS tools requires attention to usability, health-care workflow and human factors. That's because users must be able to see relevant, actionable information quickly while they are caring for patients or writing orders. CDS is about bringing high-quality content to where medical practitioners work, delivering it within the workflow and in some cases through the technology hospitals are already using, such as electronic health records (EHRs). For health professionals, it's not enough for information to be good; it must be delivered quickly and be well-organized. "It's part providing useful information and part understanding the needs of the practicing doctor, nurse or pharmacist," said Dr. Teich. "I'm a practicing emergency physician. Whatever question I may have about patient care, the answer is probably out there somewhere – very often in an Elsevier resource. The question is, 'How quickly can I find it? How quickly can I get it in a form I can actually act on?' Elsevier's product teams focus on questions like these every day. " Health professionals are seeing more patients, so they have less time to devote to any given task. Costs are rising, and people have to understand how best to manage resources. 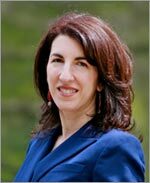 Concerns about quality and patient safety are growing due to the necessity to reduce costs. In the United States, 1.5 million people are injured each year due to drug errors, according to the US Institute of Medicine. The health care industry is placing a growing emphasis on evidence-based medicine. CDS is an important part of "Meaningful Use," the US government's program to pay clinicians and hospitals who use electronic health records. As Director of Corporate Relations, Christopher Capot (@Chris_Capot) heads up public relations for Elsevier's Health Sciences division. 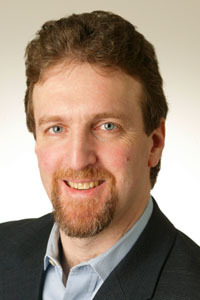 He has been a public relations and media relations professional at agencies and corporations for more than 10 years. Prior to that, he was an award-winning newspaper journalist, last working as a business reporter at the New Haven Register in Connecticut. He works in Elsevier's New York office.